The London Green Belt Council has been supporting CPRE Surrey and local campaigners in Guildford in their battle to Save Hogs Back by challenging Guildford Borough Council’s proposals to build on Blackwell Farm as well as 3 other sites across the town. We spoke to 100s of Guildford residents at Guildford Station a few weeks ago and it was obvious that they were also under no illusion that sacrificing their beautiful countryside would result in homes for future generations. We have made it abundantly clear in our response to the Guildford Local Plan consultation that their plan will fail to deliver the genuinely affordable housing needed by Guildford’s residents. It’s not just us spelling it out! We were thrilled to see Dispatches expose what we have known all along – that it’s developers who benefit from house building on the Green Belt NOT the young people and families desperate for homes. 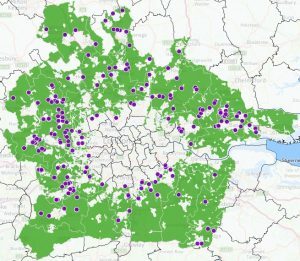 This is backed up by CPRE’s recent ‘Green Belt under siege’ report while CPRE London have made it clear that there is room for a million homes and more in London in their ‘Space to Build’ report. The Guildford Local Plan consultation is over but the fight to protect our Green Belt still continues! LGBC members and supporters need to keep debunking the myth that building on the Green Belt is a quick fix for the housing crisis. Just around the corner from Guildford in Waverley, a Planning Inspector has made it clear that he expects the council to meet its entire Objectively Assessed Housing Need, despite its Green Belt constraints. The same is happening in the Royal Borough of Windsor and Maidenhead in Berkshire as well as Central Bedfordshire. In the meantime, St Albans District Council has had its Local Plan thrown out due to its ‘failure to co-operate’ with its neighbours – you guessed it -who are also constrained by Green Belt. 1. Tell us about it! Don’t forget that we’re updating our Threats to London’s Green Belt Map and you can send us your local threats until August 7. The new map will be launched in September. 2. Tell your MPs and Councillors that they need to stand with their constituents against these threats if they want to keep their seats and ask them to sign the ‘Green Belt Pledge‘ . Most MPs are aware that they cannot take their constituents’ support for granted in these politically uncertain times. Individual MPs’ votes also count more in a hung parliament, so now is an excellent time to congratulate your MP on their (re-)election and let them know how national policy impacts on their constituency and how they can make their constituents’ voices heard in parliament. The policy focus in the next few months is likely to be much narrower than usual so we need to make sure that issues close to our heart don’t slip off the agenda. Now is the time to let MPs know that we haven’t forgotten the Housing White Paper and that we would like to see their support for the position set out by Crispin Blunt and other back-benchers set out in their response to the Housing White Paper. 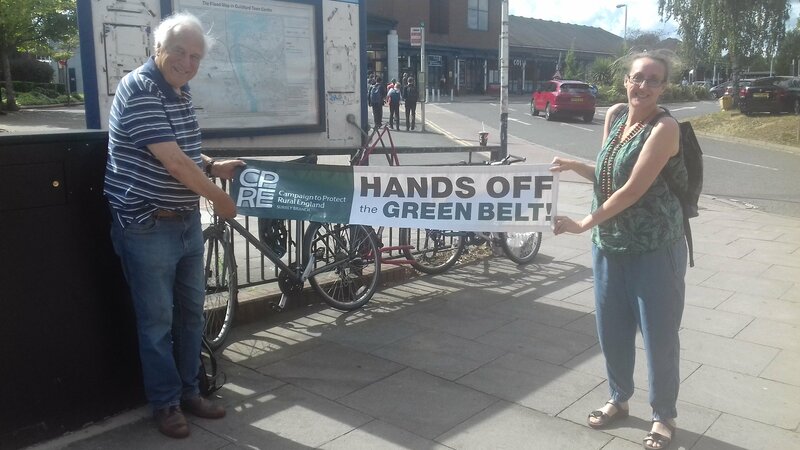 Don’t let the Green Belt slip off the agenda! Keep talking to your MPs and tell us about your threats.